Take the Wouxun KG-UV9D, add cross-band repeat, and what do you get? The Wouxun KG-UV9D (PLUS)! 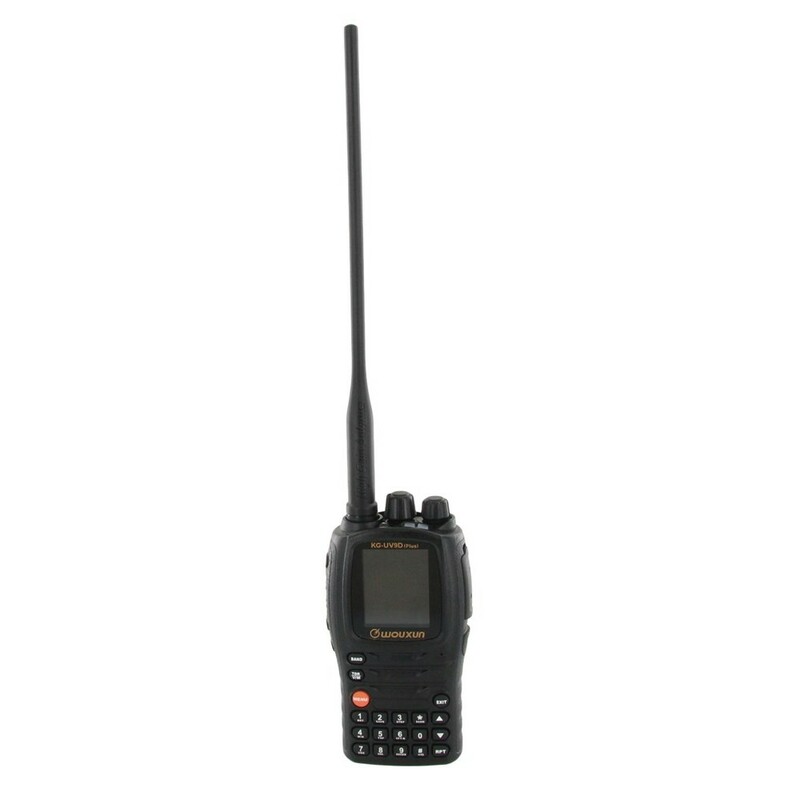 This enhanced version of Wouxun's multi-modulation two way radio mixes dual band transmission, 7 band reception and multiple feature options plus cross-band repeat functionality for a truly multi-functional handheld you can't do without! THIS LIMITED EDITION IS NOW AVAILABLE IN LIMITED QUANTITY! 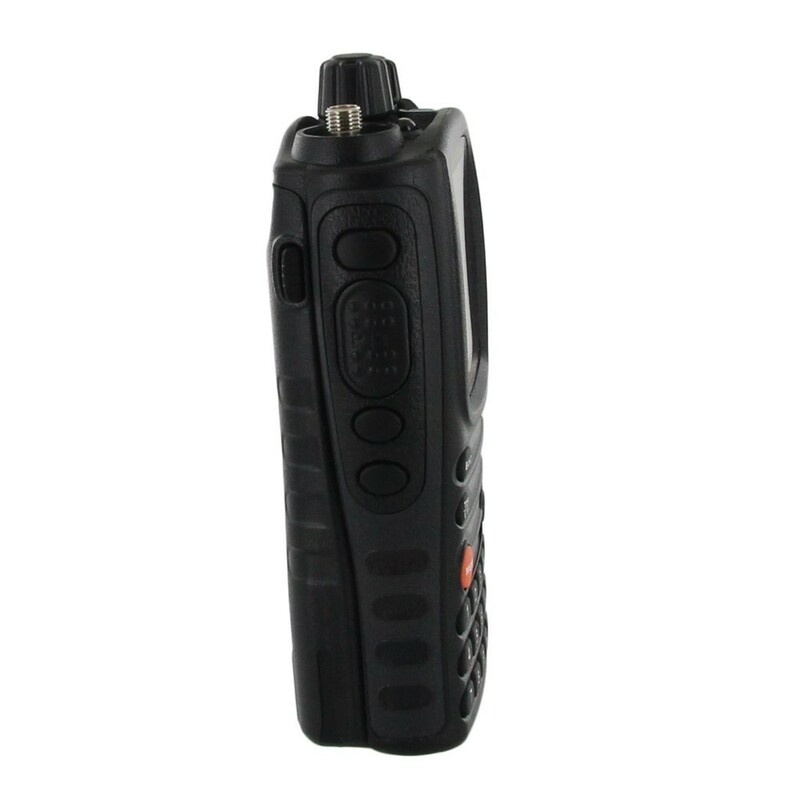 The KG-UV9D Plus has all the personality of the KG-UV9D and more, such as 4 watts UHF and 5 watts VHF of transmit power with multiple power settings, 999 programmable memory channels with QT/DQT encoding and decoding, DTMF encode/decode and 25KHz/12.5KHz wide/narrow bandwidth selection. And that's only the beginning. 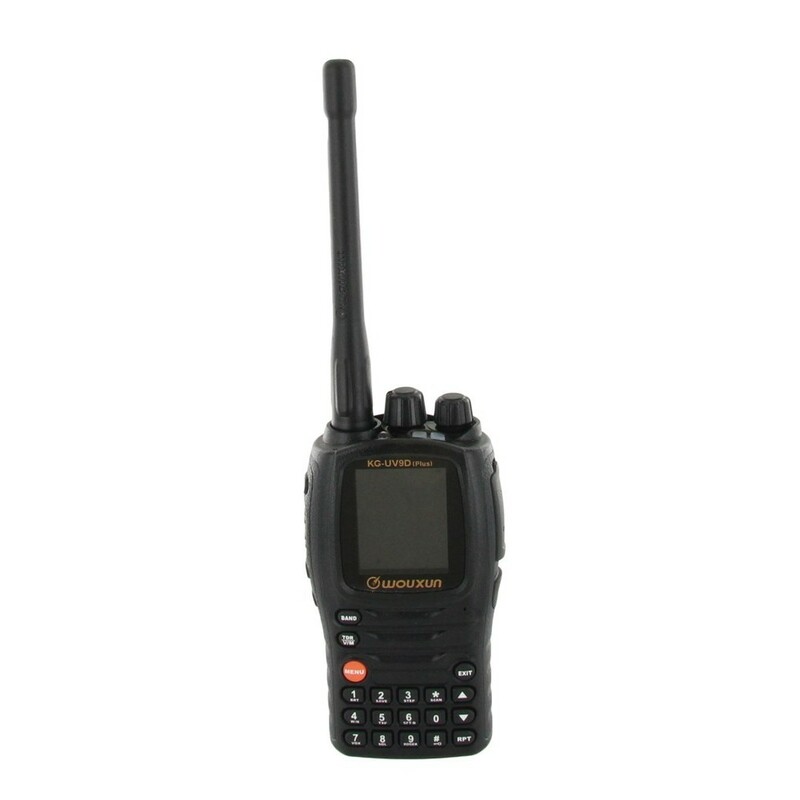 Like the KG-UV9D, the Plus has multiple levels of operation to maximize your communications over the airwaves! It features true dual band reception, which means you can receive and hear two signals simultaneously on the same or different bands. You can also transmit on one band while you receive on the other at the same time! But its multi-function operation isn't limited to your transmission and reception. 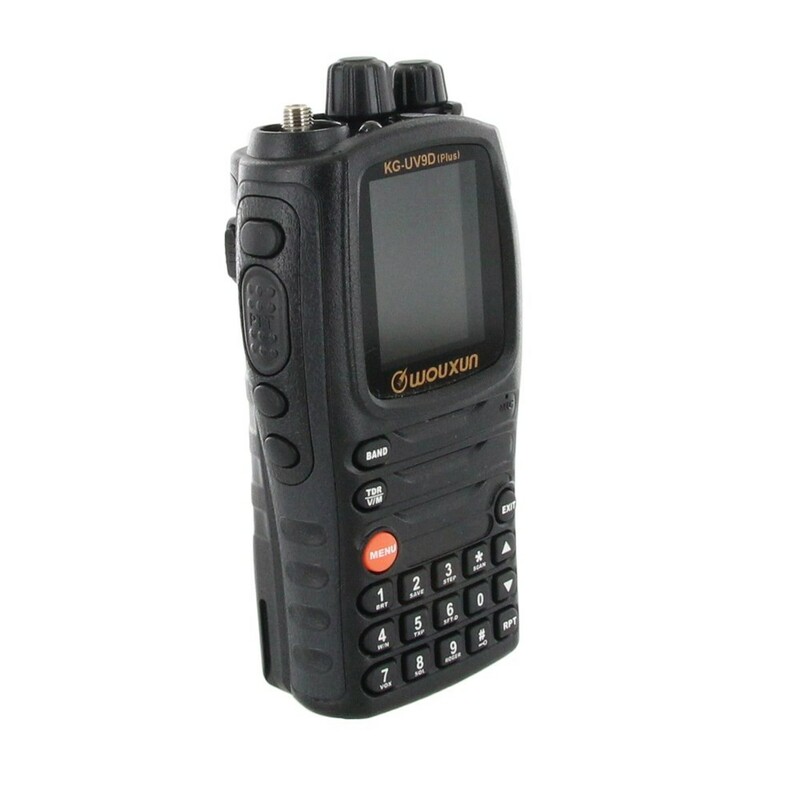 The KG-UV9D (Plus) also features multiple scan functionality, such as Priority scan, channel group scan, and CTCSS/DCS scan. Plus, using its dual receive capaility, the KG UV9D Plus can scan two bands at the same time. Now, that's what you call multi-functional! Then there's the multi-display. Wouxun introduced the large, color screen with the popular, classic KG-UV8D, and improved it on the KG-UV9D with some added functionality. It's also standard on the KG-UV9D PLUS to give you the screen space you need for full operation of a multi-function radio working two bands at the same time. The display is adjustable, with five levels of brightness. You can customize the settings for your viewing comfort and conserve battery power as needed. With the KG-UV9D-PLUS in your hand, you control your transceiver! Want more control of your KG-UV9D Plus? Enter Lock Mode. You can lock only the keypad, lock the keypad and the encoders, lock the keypad and the PTT, or lock it all. It's no all or nothing feature. Control of your keypad is all yours. 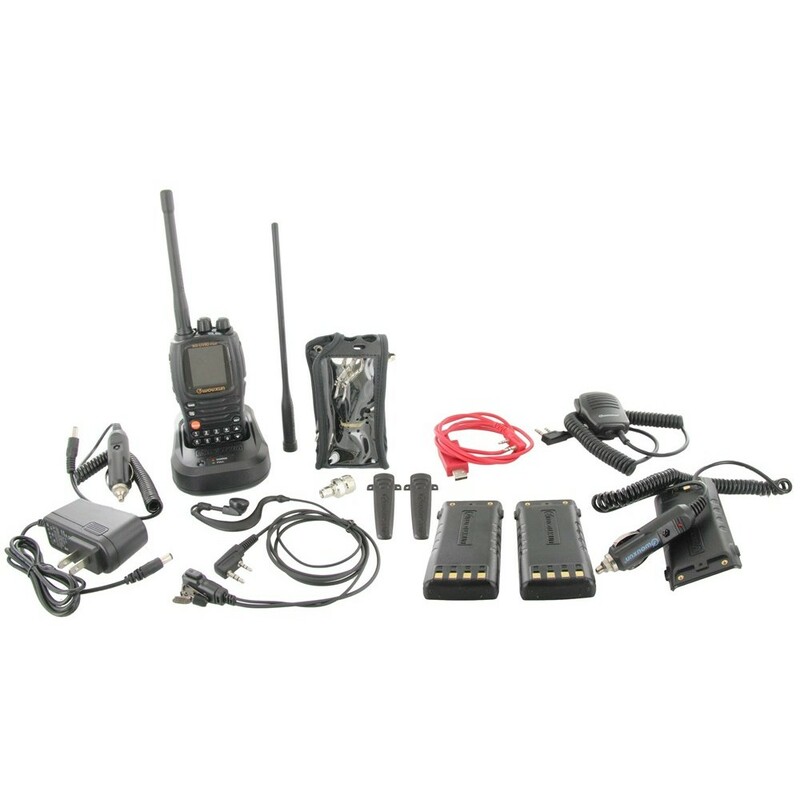 The KG-UV9D-PLUS also includes programmable side keys, sub-frequency transmission setting, Channel Name edit and display, Caller ID display, 76-108Mhz FM radio, SOS function, remote alarm, single-tone pulse frequency, reverse frequency, low voltage voice prompt, VOX (Voice Operated Transmit) for hands-free operation and a high illumination flashlight. And yes, like its predecessor, KG UV9D (Plus) also has a stopwatch! Now for the PLUS. This isn't just the radio. It's the Wouxun KG-UV9D (Plus) Limited Edition! 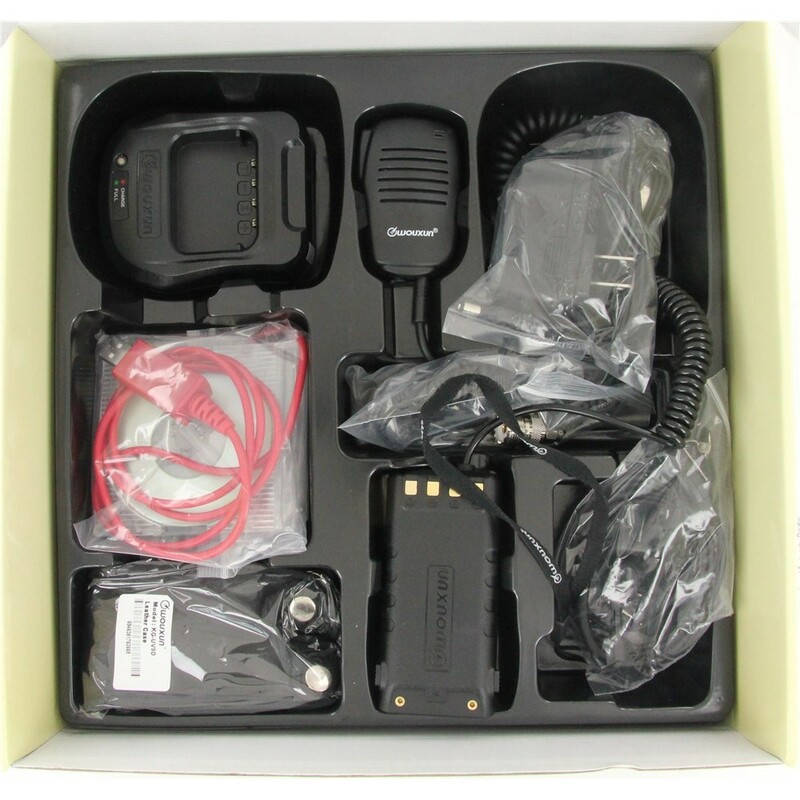 This special holiday package comes with two7.4v 2000mAh (14.8Wh) Li-Ion battery packs, two belt clips, high gain antenna, stubby antenna, wrist strap, desktop charger, AC power cord, 12V DC power cord, battery eliminator, speaker microphone, leather case, USB programming cable, programming software, owner's manual and a one year manufacturer warranty from Wouxun. This Limited Edition release from Wouxun is only available for the holidays while supplies last. Two issues from myself and the ham who recommended purchasing this radio. First, the Wouxon programming software is VERY confusing to install and required a lot of trial and error - very frustrating. In addition there is currently no Chirp programming ability made available to date for this radio although has been out for quite a while and it is available for other Wouxon radios. Having said all that the radio is a joy to use! The handheld came with many extra accessories. This radio is more than I expected as the price is very reasonable. Audio is very good and the quality seems to be very good. I reviewed this product earlier and am still a full 5-star user. Works better than expected. Receive audio is crisp- and clear. Reports on the transmit audio are all great. Spectrum analyzer shown a clean signal. Package comes with everything you need and don't need. well worth the money. People can say what they want about these Chinese radios but you won't go wrong with this one. Easy to use, functional. Eliminates having to carry multiple radios. I purchased this on someone's recommendation. He said the price is great considering what is included. 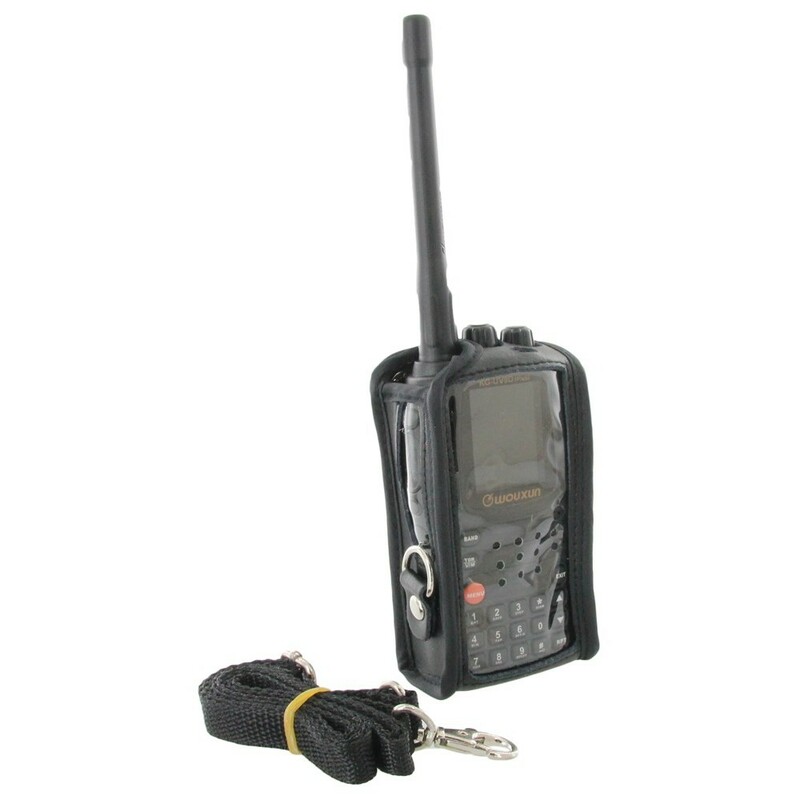 But considering why I wanted a two-way radio, I should have purchased something a little simpler to understand...if that were possible. Me being a novice, I suspect this transceiver has more bells and whistles and capabilities than what I need. It certainly has many features that I have no idea what they are about. I just need to research what it all means. I can say, though, that even the user's guide is not meant for the novice. I am not knocking the product, itself. The 9D's are far better than the 8D series. The price of the 9D's are reasonable with all the extras that comes with the radio. This is by far the best model Wouxun has produced to date. That said, the manual and the software leave you with more questions than answers. The audio is super clear. Aircraft enthusiasts will love the loud robust audio in the AM band. The true dual receive is a great feature. Good radio, works as advertised, like the accessory package. However, software included would not work, so downloaded software from the official site and all is well. Would highly recommend this radio. I bought RT Systems programmer, first and glad I did! No complaints other than the poor instructions and terrible programming software included with the radio...a real shame considering the quality of the radio! Great, solid little radio, excellent customer service, answered all my emails and questions quickly. Quality products and service. Lot of useful features, good sound, great range and informative display. If I would loose it I will reach it again. This radio is being prepped for use by a research team that will be spending 6 months in Central Africa and the Congo. The low price and availability of extras makes it the #1 choice for not breaking the research budget! With the wide band receive, we can monitor the local park rangers and military in the area as well as do what we need to without having to pack additional radios when weight and space is a factor.